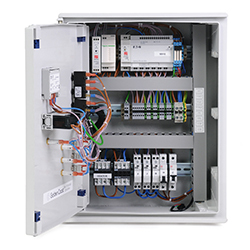 GC Hub Control Panels are designed specifically by Golden Coast engineers to a client’s instruction for a particular installation, either domestic or commercial. GC Hub control systems are tailored to meet the needs of individual projects and absolutely nothing is off the shelf. The control panels are appropriate for a wide range of installations from a small domestic pool to a commercial facility with multiple pools and spas, water features or specialist installations such as architectural water features. Each panel design starts with an efficient specification process that has been developed to save time and money. This quickly establishes what equipment needs to be controlled, so that a custom-fit solution can be created. 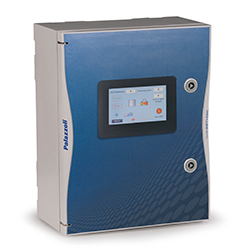 Equipment controlled by the panel doesn’t have to be limited to pumps and filtration; lighting, heating and air handling can just as easily run from the GC Hub. The majority of units are spec’d with a high-definition IP65 touch screen control but other options are available. 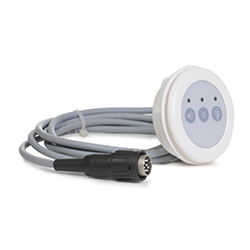 They may be button operated or wireless remote and can be set up for remote monitoring and control. Please get in touch with a member of the team regarding your specific requirements.